In a December 2004 email, construction unit engineering chief Barnett outlined how $207,000 in costs could be billed to Metrolinx and thus make a $385,000 over-expenditure drop to $78,000. Additionally, Barnett ordered Holmes to get “7000 PW 14-inch tie plates.” In railroad construction parlance, PW means “partly worn.” In other words, a key element used for the construction of new tracks, the tie plates, had already been exposed to heavy use and weather. Another internal accounting maneuver saved Canadian National millions of dollars in track maintenance and construction costs through the manipulation of the letter code system the railroad’s computers used to assign bills to Metrolinx. Over the past 15 years, Canadian National’s reputation for efficiency has been quite a calling card for the railroad. 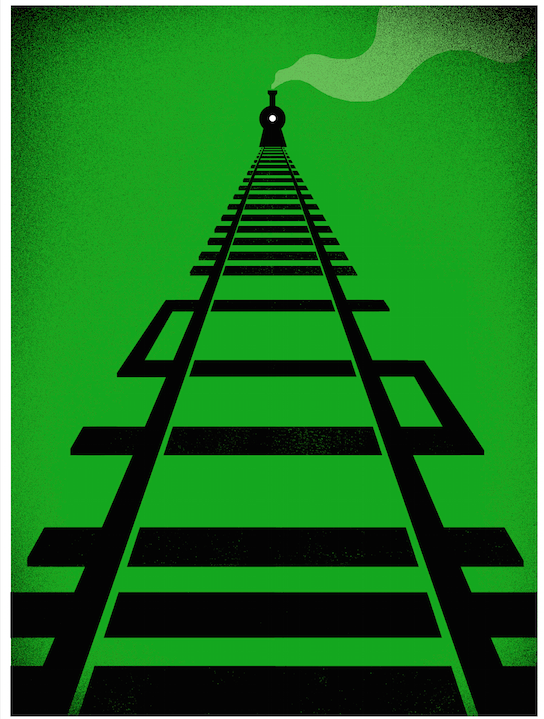 Practically speaking, improvements in efficiency metrics are highly attractive variables for investors who want to see that a railroad is using its assets to the fullest extent possible, while railroad operations managers want to meet performance targets and qualify for bonuses. Canadian National tracks these metrics on its website. “No one on Wall Street has ever gotten fired for owning the most efficient company in a sector and in railroads, that’s [Canadian National],” said rail industry consultant Larry Gross. “Being the on-time leader, having the least dwell time in rail yards, those are major factors that allowed [Canadian National] to get and keep price hikes that constantly outpace inflation,” Gross said. In turn, he added, Canadian National’s price increases have kept profits — and thus its stock price — healthy, despite slowdowns in other areas of the economy. Charts available from railroadpm.org, a website that collects voluntarily disclosed efficiency metrics from six North American long-haul railroads, documented Canadian National’s dwell time — the amount of time a railcar spends in a yard or terminal before it’s sent out again — and suggest that this company is literally set apart from the competition. But there’s more to the story than Canadian National’s hard-won gains in asset utilization and it involves “ghost tracks.” This is a railroad term used to refer to the practice of assigning a delayed train a made-up track number in a train yard. That way the incident can bypass a railroad’s daily inventory management system so that the lag doesn’t drag down efficiency metrics. A 2013 whistleblower lawsuit filed against Canadian National in U.S. District Court in Memphis, Tennessee, surfaced the practice of making a train disappear in a computer system. Timothy J. Wallender, the suit’s plaintiff, was a trainmaster for Canadian National in Memphis who claimed that he was fired in retaliation for alerting his superiors to widespread misreporting of train metrics, much of them at the behest of his boss, then the yard’s general superintendent. Canadian National argued that Wallender was fired solely for ignoring a warning about misreporting data, and when the company discovered in late 2011 that this had occurred, its president, Keith Creel, released a letter to employees demanding it stop. In February a U.S. magistrate judge granted Canadian National’s motion for summary judgment, ruling that the company was within its rights to fire him. 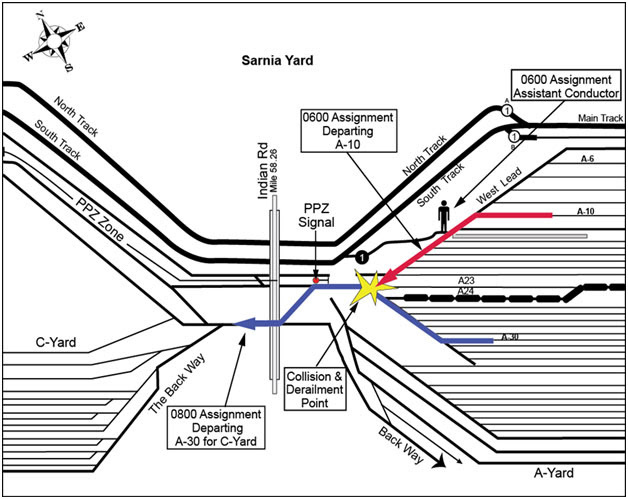 What the Wallender case shows is that circumventing the Canadian National computer system to arrive at ever-improving on-time and train dwell statistics was a fairly widespread practice, with a variety of different tactics used — from rail scanner manipulation to changing the internal clock in the railroad’s office computers — at yards throughout U.S. and Canada. Paul Bourzikas, a former trainmaster colleague of Wallender in Memphis, said in a March 2014 deposition that the Memphis train yard was hardly the only Canadian National one where employees changed departure and arrival data. 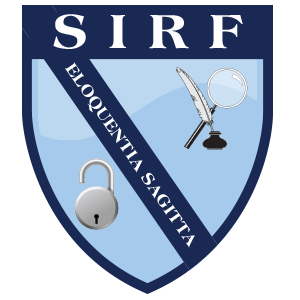 The Southern Investigative Reporting Foundation interviewed six current and former Canadian National employees, all unconnected to Wallender’s litigation and having 15 years or more of train yard operations or transportation unit experience, about whether efficiency data like dwell times or terminal arrival data was often misreported. They declined to speak on the record for fear of losing their jobs or being sued for publicly discussing company-specific issues. The consensus view of the six was that the practice of misreporting such data was endemic throughout Canada National’s operations in the U.S. and Canada until 2014, when this began to occur less frequently but still occurs. Additionally, all six argued that investors’ and analysts’ ignorance of just how many things go awry when a train is hauling nearly 10,000 feet of freight to a terminal made them susceptible to believing management assertions about sharp drops in dwell time. “It is virtually impossible for any long-haul [freight train] to arrive on time,” said a former Canadian National employee, a 25-year veteran of train yard operations. “No one wants to hear it, then or now. So when [Hunter] Harrison came in and on-time delivery became the focus, yard [superintendents] had massive pressure put on them,” he said. The biggest component of delays, according to the six, were “slow orders,” or directives from, say, Transport Canada’s rail safety inspectors, to decrease speed on a specified stretch of track, usually because it needed repair. One train engineer with more than 30 years of experience said, “What do you [suppose] happens to your on-time guarantee when you have six slow orders on a 800-mile run with 150 cars behind you?” He went on to describe decreasing speed many miles before the actual slow order and then waiting until the train cleared the area, only to have to do it again and again. Another yard operations veteran, with 20 years of experience, said that he first learned of ghost tracks about 15 years ago at Canadian National’s MacMillan yard in Toronto when a manager finally got fed up with his supervisors’ castigating him for the yard’s dwell-time figures. “He came over to my desk and walked me through how to do it,” he said. “So we immediately improved on our arrival/departure and dwell time numbers. No one asked us how we [had] done it,” he added. Nor did the manipulation involve just so-called ghost tracks but, per the accounts described in the Wallender claim and news reports above, it included moving trains a few hundred yards to trigger the scanner, making Canadian National’s computers to mark the train as departed. 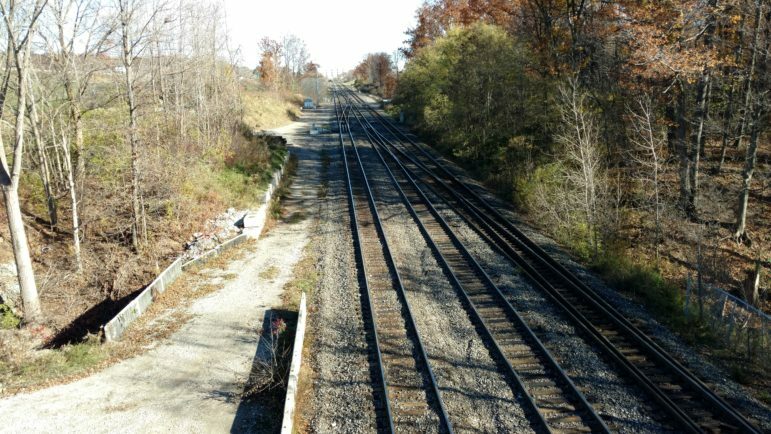 A 34-year veteran engineer said he witnessed firsthand while driving trains to Sarnia, where Ontario borders Michigan, how effective ghost tracks could be in keeping a train away from prying eyes. Sarnia’s ghost tracks, as well as the ones a few miles across the U.S. border in the Port Huron, Michigan, train yard, were central to Canadian National’s role in an odd 2010 episode that involved shipping biodiesel back and forth across the U.S. and Canadian borders to take advantage of a renewable energy tax incentive in the U.S.
A railroad’s on-time promise can be translated into substantial money. A logistics consultant to industrial and agricultural clients throughout Ontario told the Southern Investigative Reporting Foundation that on-time promises are easier to fudge for railroads than for a trucking or air freight company. That’s because, he said, “Federal Express has to get it to your home or office door at a certain time; railroads only have to get it from one terminal to another,” where another train takes it to [a distribution facility] where trucks or ships pick it up. Practically speaking, overpaying for on-time performance, said the logistics consultant (who wouldn’t consent to his name being used because he said he does business with Canadian National), amounts to paying slightly extra for Canadian National’s so-called Series 100 trains, its fastest freight movers, to depart from one terminal at 5 a.m., for example, when it really leaves at 10:30 a.m.
“Few are going to be the wiser because the trains to the [distribution] facilities always leave hours after the scheduled arrival time,” he said. The Southern Investigative Reporting Foundation repeatedly sought comment from all the people named in this story. Without exception they declined. Canadian National spokesman Patrick Waldron was provided with the documents referenced above and declined to comment on questions submitted to him, apart from reiterating the railroad’s comment on the auditor general’s report. He did note that in 2013 Canadian National had issued a public rebuttal to certain claims that Holmes had made in his ongoing litigation. This is outrageous! Thanks SIRF for the nice investigative reporting. So $725m over past 5 years compares to $30bn of operating profit for CN and CP, and you think some fraction of that is over billed? Does not seem material even if true, seems like a lot of work for immaterial conclusion to the companies. If my wife and I earn $200K in after tax income and I only commit $5000 in tax fraud, I don’t suppose that’s material. No need for authorities to investigate this immaterial fraction. Well from a shareholder’s perspective, it certainly is immaterial. Fraud, or the appearance of fraud, from a shareholders perspective is always material. It speaks to the culture of the company and management. The point is that the numbers are irrelevant. And the gov’t signed off on the projects anyway, so who looks worse if true… CN or the govt? Great report! Regarding ‘gaming’the performance metric, If the individual customers are aware of both the leave/arrive time what is the relevance of the recorded metrics that are ‘gamed’? Won’t the customers pay based on the actual time it took in transit vs any performance metrics posted by CN? Thanks. Interesting, will there be a follow up story on this? Thank you. Roddy if your goal is to find things that are meaningful to investors, this was a waste of time. The impact is immaterial even if true is immaterial.